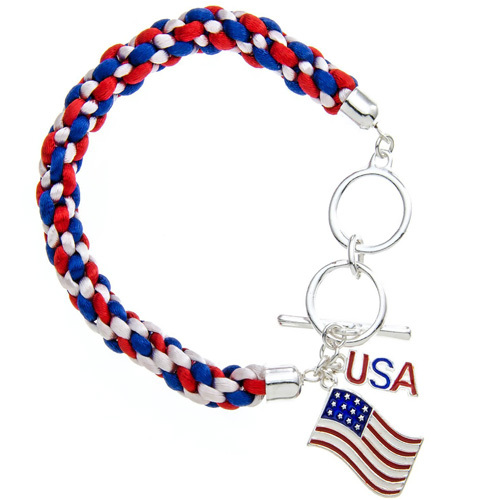 Here is a red, white and blue fabric lanyard bracelet with an American flag and USA charm. Bracelet measures 8.5″ long with two size options. Your bracelet will come to you in a gift box perfect for gift giving. Please note that box may be a different color than the one shown. PammyJ Fashions offers a 100% satisfaction guarantee.